With this list of enticing dog friendly Key West restaurants, don’t even think about leaving your dog behind! Ever been to a “pet friendly” hot spot where you and your dog are sanctioned off to a tiny, uncomfortable patio overlooking the parking lot? We promise that won’t be the case here! From romantic fine dining to funky, no-fuss cafes, there is a handful of fabulous dog friendly Key West restaurants. We’re sharing our favorites so that eating well on vacation with your pup will be no question. 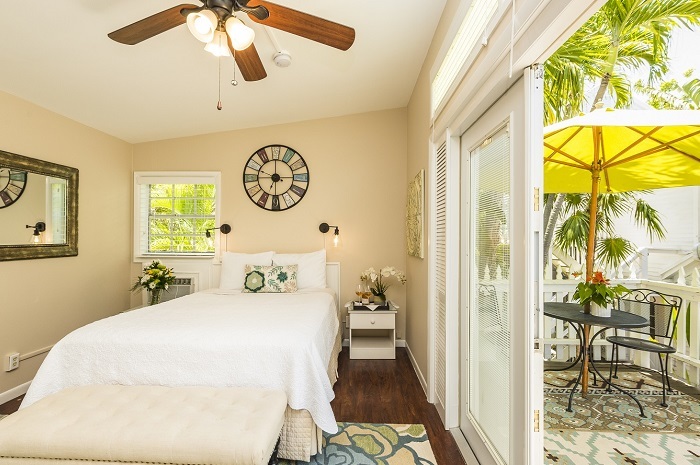 Find out if your Key West favorites made the list! At this Mediterranean restaurant, dogs are welcome in the charming and private covered outdoor terrace. This quaint restaurant is tucked into a residential neighborhood with year-round flowering trees and charming architecture. 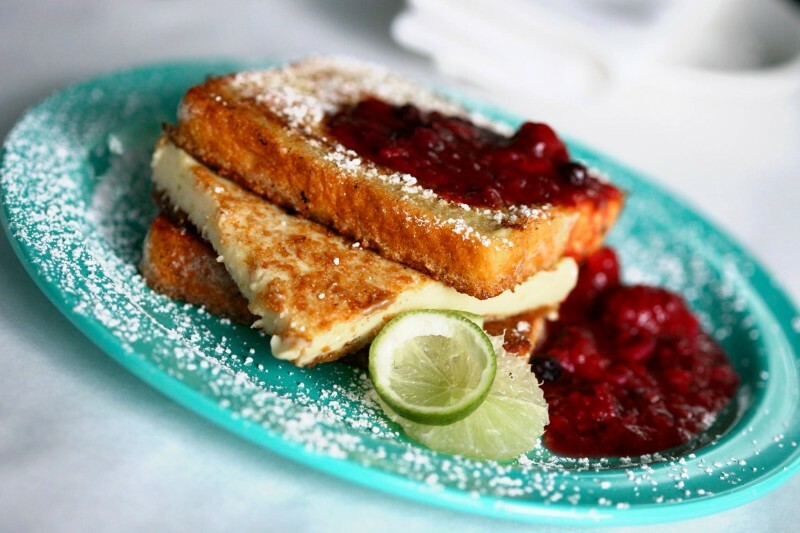 Try the house-made Key Lime French Toast with a wild berry compote. 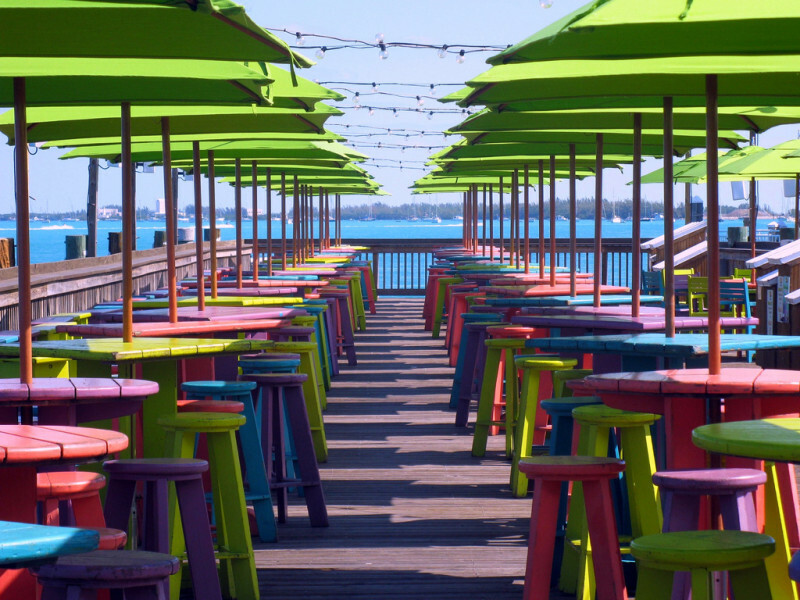 One of the iconic dog friendly Key West restaurants in Bahama Village, Blue Heaven is known for its laid back atmosphere and excellent fresh food. If your dog can handle the Key West chickens and overfed cats roaming around the shaded outdoor seating area, she is welcome to join you. Save room for their famous Key Lime Pie, topped with meringue on a graham cracker crust. They don’t take reservations for breakfast, lunch, or between 7pm and 9pm for dinner, so be prepared to have a drink while you wait for a table. This funky little shack is the type where orders are placed at the counter and fresh seafood is delivered no fuss. It was featured on Food Network’s FoodNation for its local Key West specialty: grouper. Enjoy a hearty meal with your pup in the shaded outdoor seating. Just kidding! Poodles are welcome at B.O.’s Fish Wagon, too. This festive spot shares a kitchen with the popular fine dining Commodore Restaurant, but you won’t find white gloves and silver platters here! Try their happy hour from 4pm to 6:30pm daily where small plates and drinks are half price. The savory Boathouse Bread, a mix of herbs and cheese, is worth every calorie. 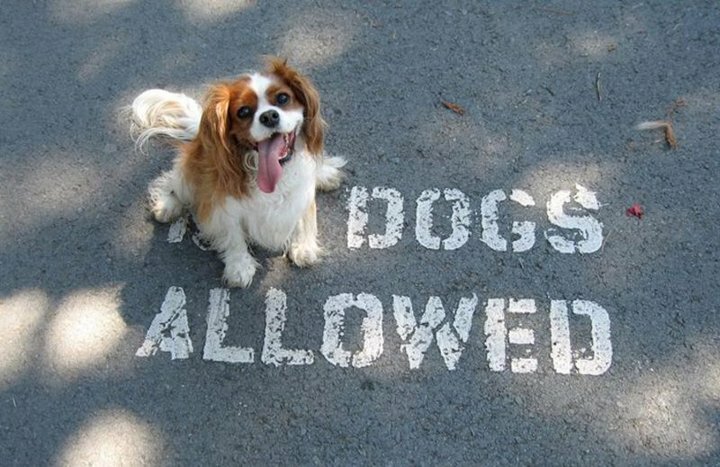 Dogs are welcome anywhere within the open-air dining space. Check our Garbo’s for the ultimate Key West food truck experience. Featured on Food Network’s Diners, Drive-Ins and Dives, the husband and wife team behind this operation dishes out fresh tacos and other island eats. 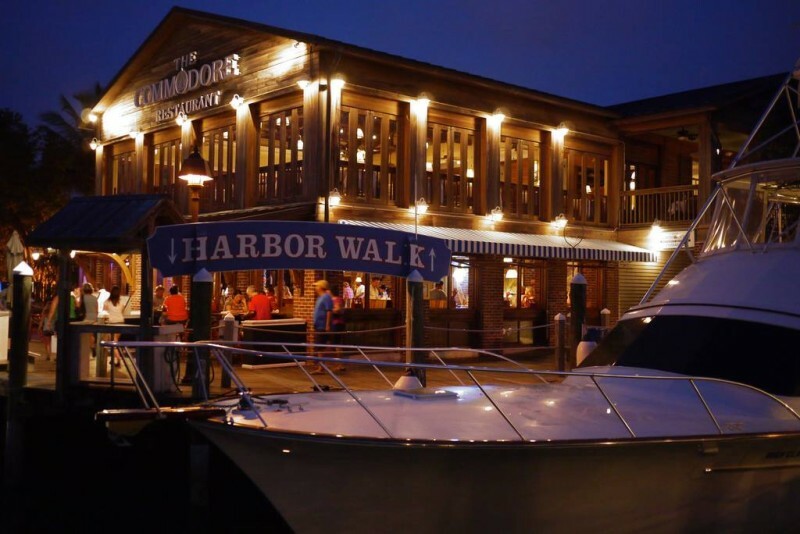 Tucked behind Grunt’s Bar between Duval and Whitehead Street, relax with your dog at comfy outdoor seating. Dogs are welcome in the outdoor dining area of this well kept Victorian home. 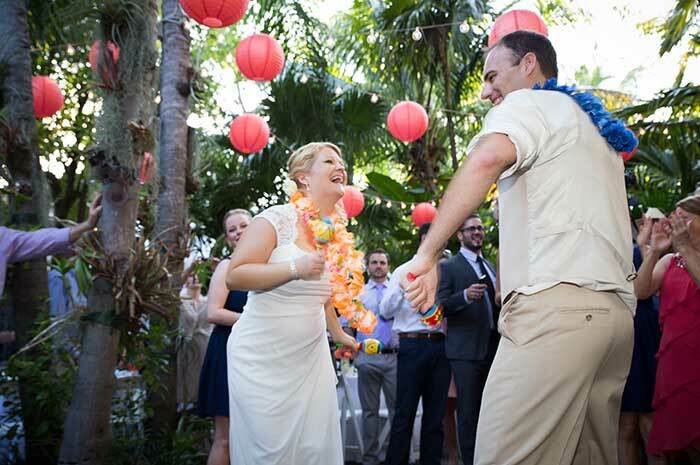 Excellent food, great service, and a lively Duval Street locale make this the perfect spot to indulge and celebrate. Check out their top floor lounge, Point Five, for pizza and cocktails. 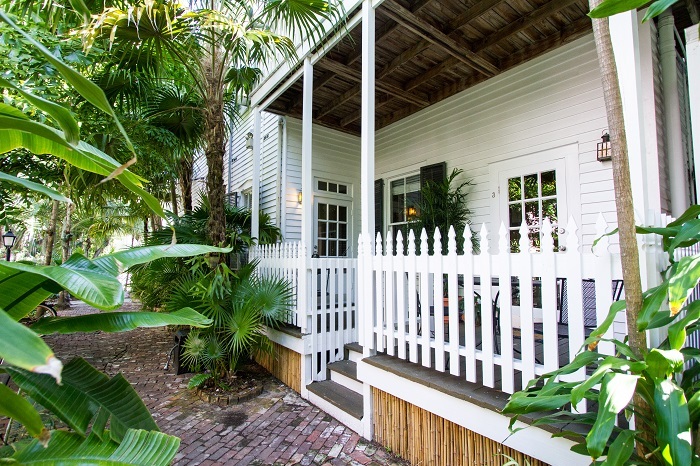 Each of these dog friendly Key West restaurants are open for dinner only. 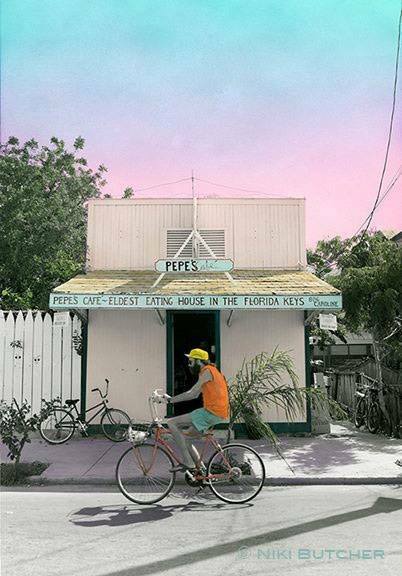 As the self-proclaimed “eldest eating house in the Florida Keys,” this casual spot has been a local favorite for a long time. Dogs are welcome in the charming, covered, brick-paved outdoor dining space. This beach-side restaurant offers light Italian fare with a great island atmosphere and views of the Atlantic. Your dog is warmly welcomed in the covered outdoor dining space. Located on Higg’s Beach, this restaurant is just steps away from the dog friendly Rest Beach. We love this popular tapas restaurant for its incredible food and fun atmosphere. Sample from their menu of over 30 delicious Spanish and Mediterranean style small plates, soups and salads. Your dog is welcome outside on the patio dining area. Don’t leave without trying the flaming Saganaki dish – Haloumi cheese flambéed with Brandy! 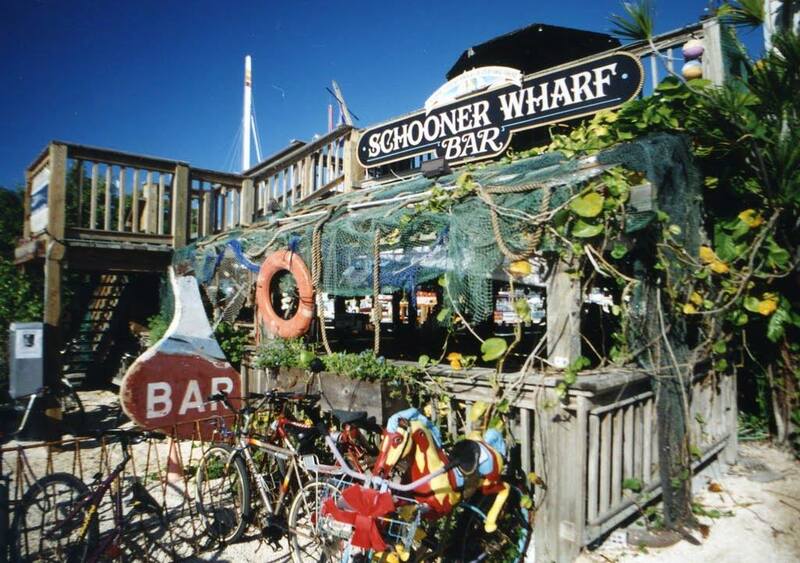 For a taste of “old Key West,” visit Schooner Wharf Bar in the Historic Seaport. Your dog is welcome anywhere within the open-air restaurant/bar. While this old watering hole serves better cocktails than they do entrees, you can’t beat the funky, laid back atmosphere and festive live music. The iconic Sunset Pier juts out into the aqua colored Gulf of Mexico with views of idyllic Sunset Key and the breathtaking Key West Sunset. Dogs are welcome anywhere along the long, colorful pier. The food is good, but cocktails are better. 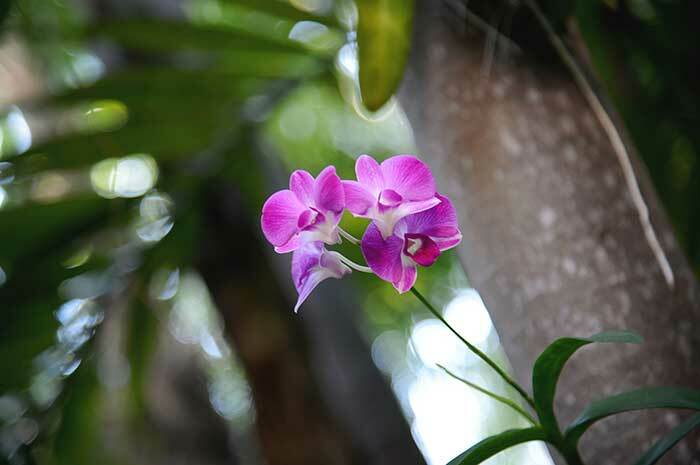 Check availability for your next Key West vacation today or meet our Old Town Manor pet ambassadors!